We have six games left in the regular season. Despite going 1-1 in the past week, we Titans have definitely stepped up our effort and intensity on the court. With all the struggles we had coming into Sunday’s game against UIC – which we lost 78-69 – it would have been easy for anyone to throw in the towel. But we are definitely showing bright spots in our play. 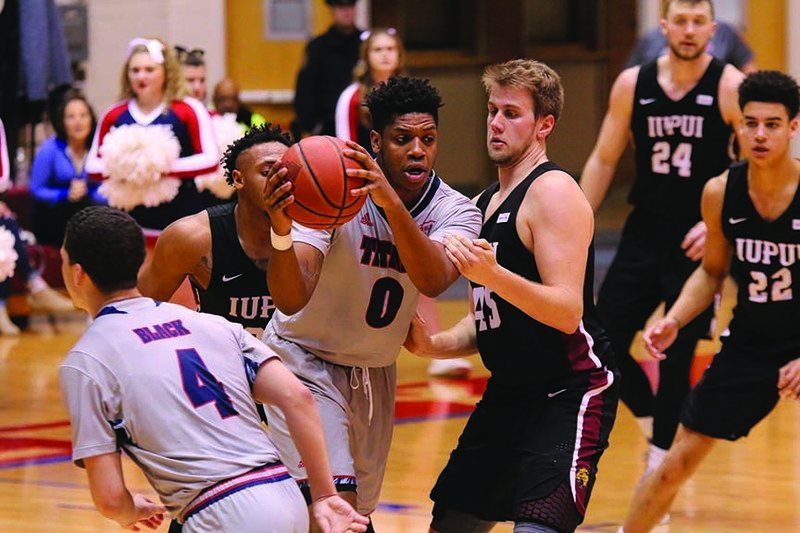 We recently held the IUPUI Jaguars to 41 percent from the field in a 74-60 win. We also held the UIC Flames to 20 percent from behind the line. Defense has boosted our play. “Despite our losing record, this week we played as a team and it brought us some hope that we can finish out this year really strong,” said freshman guard Bass Ollie. Though Northern Kentucky and Wright State are battling for first place in the Horizon Leage, everyone else isn’t that far apart in seperation. And the Motor City Madness tournament is less than a month away. Everyone in the league knows there will only be one Horizon League team that makes it to the NCAA tournament and that’s whoever wins the Horizon League tournament. With positive play throughout this week, there is still hope for a big run from the Titans, and possibly an NCAA tournament bid, which would be exciting for everyone. As we approach the end of the regular season, we are still as confident – even though missing Tariiq Jones, Corey Allen, Gerald Blackshear, Jaleel Hogan and Jermaine Jackson Jr. has been a struggle. Three of those guys are normally starters so there’s a strong possibility that the Titans could go on a big run and surprise most people when they return.